Castle of Lost Souls part four: "The Evil Eye"
Maybe you were playing the original White Dwarf version of The Castle of Lost Souls and you thought I'd forgotten all about you? It has been over a year since the last instalment, after all. Well, um... Better late than never. Oh, and happy New Year. 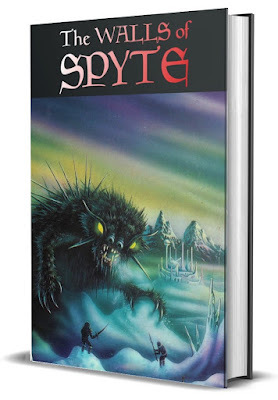 Jamie and I are looking forward to the spring, because 2013 is when a lot of our gamebooks are coming back into print - not to mention digital formats. Exciting times ahead! You are the Champion of the Greengosh family, chosen by its head, Hogron. He hired you to rescue his father’s soul, captured and taken to the castle of the demon, Slank. To do this Hogron told you that you needed some magical boots, a teardrop, a fragment of armour from the most chivalrous knight, a four leaf clover, the ashes of a saint and the hair of a nun. All these items you have collected in your journeys and have already undergone many hardships to reach the castle of Slank. If you have not played previous instalments in this adventure (go here for part one, part two and part three) you will begin this instalment with an Honour score of 7, and should note on your Character Sheet that you have: chainmail armour, a sword, a dagger, a bow with six arrows, a lantern, flint and tinder, a Potion of Healing, 40 gold pieces, magical boots, a little girl’s teardrop, a fragment of a chivalrous knight’s armour, a four-leaf clover, a saint’s ashes, a crystal ball, and a nun’s hair. If you did play the earlier instalments then, of course, you have the equipment and attribute scores earned there. The rules are here. When you are ready to begin, go to 1. 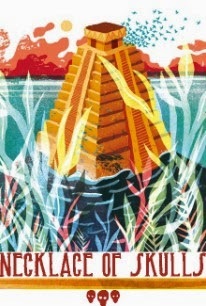 1: You stand at the very threshold of the Castle of Lost Souls. The mists of the swamp seem to shrink away from it. Its presence is awesome. You cannot grasp any sense of its size; it seems endless, eternal. The walls tower dizzyingly above you into the glowering, dull red sky. Perhaps in the castle’s unreal and inhuman architecture you glean something of the twisted mind of its master, Slank. You notice a twinkling light. A solitary candle burns in one of the windows – to the left of the doorway, apparently on the first floor. All else is shrouded in darkness. The castle is not guarded. None of the tortured souls that enter ever leaves. With weapon in hand you advance slowly across the drawbridge. You reach out – does your hand tremble just a little now? – and push open the heavy mahogany door. Turn to 12. 2: After a short distance the corridor turns to the right. At the corner there is a low, fire-blackened door with a pewter handle. If you wish to open the door, turn to 73. If you wish to ignore it and carry on, turn to 6. 3: You dip your hand into the pool and take the stone bottle. Will you remove the stopper from it? If so, turn to 63. If not, note it down and turn to 44. 4: Your eyes are off him for only a moment as you reach for your backpack, but when you look again he is no longer there. Strange and inexplicable things are obviously commonplace here – you will have to be vigilant. You turn back; go to 41. 5: You double up in sudden and intense agony. For long minutes you crouch there by the fire, incapacitated by the terrible pain. At last you are able to rise, but you have permanently lost a point from your initial Constitution. You can now open the larder (turn to 22) or go through to the next room (turn to 58). 6: A little further along the corridor you come to a large oak portal with an iron latch in the shape of a bat. You push it open and survey the room beyond. Directly opposite is a high arch leading from the room. Staring down from above this arch is a rather noxious bas relief of a sneering inhuman face. A low whimpering draws your attention to the occupant of the room – presumably one of the poor souls Slank torments for his pleasure. She is a slender woman with light brown hair, her wrists bound by leather thongs to a wooden beam above her head. Her feet rest on a red-hot metal plate. You can see the sick ingenuity of the arrangement. She is able to lift her legs clear of the plate, but eventually her arms ache so much that she has to stand on it again and get burned. She sees you and starts pleading for you to release her. If you do, turn to 53. If not, turn to 37. 7: Did you leave either the clover or the teardrop on Slank’s mask? If so, turn to 75. If not, turn to 43. 8: You could try to heat the knife using your lantern, which might help to cut the ice. If you do that, turn to 86. If you have a jar of salt, go to 55. 9: You find a twisting flight of steps leading up out of the dungeon. To your immense relief, the door at the top is not locked and you emerge into the candlelit entrance hall. You decide to try the stairs-turn to 34. 10: It is exhausting work, but you eventually manage to dig the mask out of the ice. Turn to 35. 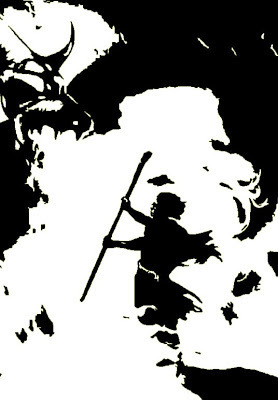 11: The rauchwurm dissipates into the smoke from which it formed. You reach out and grasp the golden hilt of the sword you have fought for. Certainly it is a worthy prize: as you swing it through the air it follows your intentions with an almost sentient precision. You add 1 to your Fighting Prowess while fighting with this weapon. Seeing nothing else of value in the room, you decide to leave - and you are incidentally saved from electrocution a second time by your magic wristband. Turn to 6. 12: You step into a shadowy, cloistered hallway that reeks of funeral incense. All is bathed in the guttering, smoky light of myriad black candles. A wide staircase leads up to the first floor. Over to one side of the hallway you see double doors carved with arabesque designs. Will you open the doors (turn to 49), or proceed up the stairs (turn to 34)? 13: You walk along a short tunnel and enter a circular room with a pool in the middle. There is one other exit from the room: a door to your left. You can go back and take one of the other doors – either the one with the copper plaque (turn to 88) or the one with the bronze plaque (turn to 70). Or you can cross the room (turn to 83). 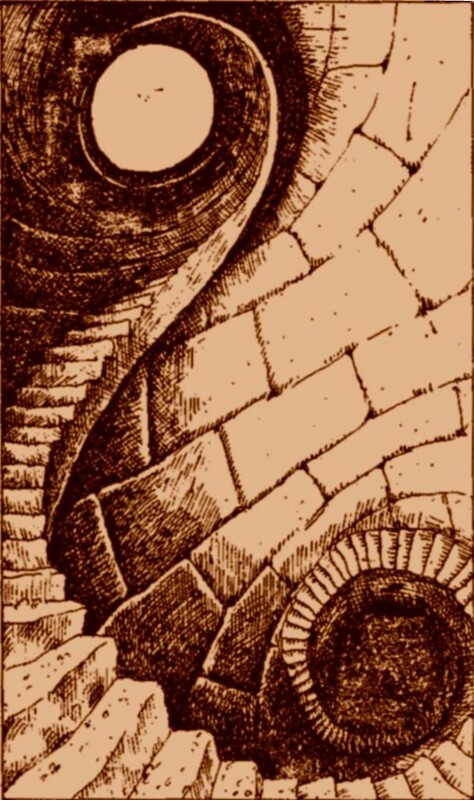 14: You leave the newt’s eye in the eyeslit of the demon mask. There seems to be nothing else you can do here, so you cross the icy floor to the archway and step through. Turn to 18. 15: You gulp back the magic potion. For the duration of your fight with the undine, you can strike three times in every combat round. Turn to 50. 16: Before you can go further you need a source of light. Will you take down the pine torch (turn to 25), or would you prefer to light your lantern (turn to 67)? 17: You can use the crystal ball (turn to 66) or the three strange silver coins (turn to 24). If you have neither of these, or decide not to use them, turn back to 37 and open one of the doors. 18: You are at the foot of a rough stone stairway that winds up around the walls of a narrow, circular tower. Staring into the gloom, you discern a crimson glow far above. You climb up and up – hundreds of feet, it seems. At last you reach the top of the tower. There is only one door off the landing -a heavy iron portal with a glowing, gloating red face inscribed into it. It swings back as you approach and you pass through into what must be the topmost chamber of the tower. Outside you can see massive, ponderous storm clouds against the starless night sky. There is a curtained alcove on the other side of the chamber. As you cross over to it, a sibilant voice seems to speak from within you, extolling the virtues of an eternity in service to the demon. If you have any Honour, try to roll equal to or less than your Honour score on two dice. If you succeed, turn to 46; if you fail, turn to 27. If you don’t have any Honour, turn to 74. 19: Chuckling humourlessly, he closes his grip on you. You cannot move. ‘Quite wrong,’ he says. ‘Clearly your riddling skills leave much to be desired, but perhaps they will improve when you’ve been a guest at my castle for an eternity or two!’ By his duplicity, the archfiend Slank has captured you. You are his prisoner forever, and the adventure ends here. 20: Do you have the ashes of a saint? If so, you scatter these over the demon’s body; turn to 89. If you don’t have any ashes, turn to 84. 21: He reaches into a pouch at his belt and produces a number of wicked-looking devices. ‘Pilliwinks is a game played with the fingers,’ he explains as he fixes the thumbscrews onto you. Paralysing pain shoots up your arms. Through waves of agony you see the figure before you dissolve and alter. 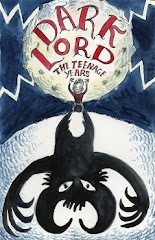 He is no longer an old man, but a tall figure clad in black robes. 22: Human torsos dripping with gore hang on rusted meat hooks along the larder walls. You can see maggots crawling on some of them. Slank obviously likes game adventurers. Ranged on wooden shelves you can see a number of jars and bottles. You lean closer to read the faded labels; they contain all manner of ingredients. There is a jar of newt’s eyes, another of frog’s toes, one contains a pickled dog’s tongue and the next holds fillet of fen snake. One bottle has no label, but its contents are unmistakeably lizard legs. Among the more normal ingredients, you notice red pepper, parsley and salt. You can take up to three jars if you wish - note them down on your Character Sheet. Feeling your gorge rise at the sight and stench of the demon’s awful larder you continue on your way (turn to 58). 24: You toss the three coins down on the floor in front of you. One lands with the unicorn’s head uppermost, the other two with the serpent’s head. Does that give you any ideas? You can retrieve the coins if you wish, then turn back to 37 and choose which door to open. 25: As you take the torch from the bracket, you set off a trap! A hatch you had carelessly failed to notice opens beneath you and you plummet some thirteen feet onto a cold stone floor. Somewhat dazed, you stagger to your feet and look around. In the bleary light and choking dust you can just make out a figure chained to the wall. As you approach with the torch you see he is an old man with a clouded, sightless right eye. ‘I am Vimbol Greengosh,’ he tells you. ‘Are you the champion my sons have sent to rescue me? If so, help me out of these chains and your reward will exceed anything you can imagine.’ If you wish to do as he asks, turn to 60. If you would rather leave him chained up, turn to 9. 26: You pull the folds of the rug around you. It is comfortably warm and you are glad you had the foresight to bring it. Will you now try to get at the mask (turn to 77), or leave through the archway (turn to 18)? 28: You pound the door with your fist, producing a booming echo. After a few moments a small panel is slid back and the occupant of the room examines you. 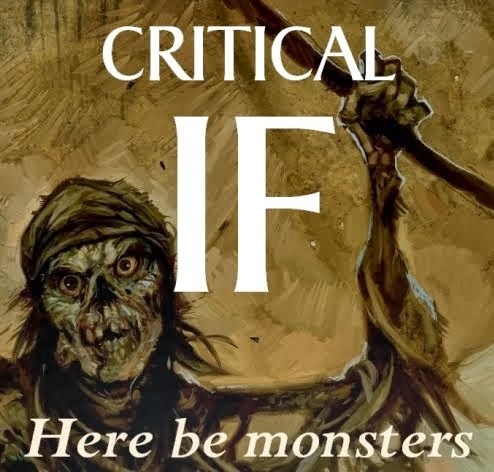 You see his eyes alight on the talisman Hogron gave you; immediately he gives a cry of delight and starts to clear his barricade from the other side of the door. You wait nervously in the passage, praying that all this noise won’t alert the demon. Finally the door opens and the old man ushers you in. The place is a vast, vaulted library with books and pamphlets lining every inch of the walls from floor to ceiling. ‘You’ve come at last!’ says the old man, crying with joy. ‘I knew my lads wouldn’t let me down –I’m Vimbol Greengosh, of course.’ He shows you to a leather armchair by the fireplace and thrusts a glass of tawny port wine into your hand. Obviously, although Slank’s prisoner, he is not completely without creature comforts. He takes down a musty tome and opens it at a chapter headed Dealing With Demons. ‘Now listen carefully, for there isn’t much time. You should have a number of items, and this book describes how each item will affect Slank. Firstly, a four leaf clover will have much the same effect on him as a crucifix has on a vampire – he won’t want to touch it or go anywhere near it. Second, if you throw my daughter’s teardrop into his left eye you’ll blind him completely, as I’ve already managed to destroy his right eye. Now, do you have the fragment of knight’s armour and the hair of a nun? If you have both these items turn to 64. If not, turn to 23. 29: Somehow you manage to drag yourself the last few yards and slump through the archway. The coldness is presumably a magical effect restricted to the last room, for after a few minutes you stop shivering. 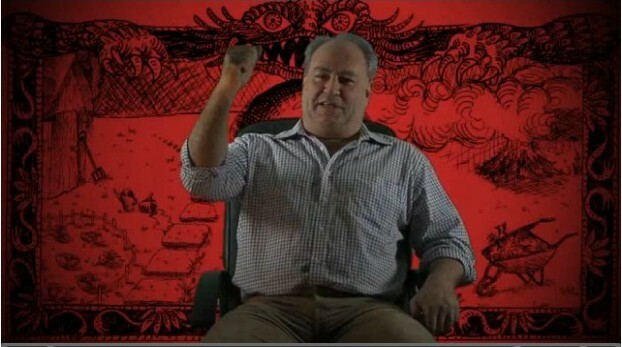 Rubbing the circulation back into your sword-hand, you look around you. Turn to 18. 30: ‘That’s right!’ he says,’ his tone of surprise veiling a slight irritation. ‘I didn’t expect you to get that one. All the same, I don’t see how you could have cheated, so I suppose I’ll have to let you go for now...’ Suddenly he spits in your face! You blink and rub your eyes, and when you look again he is nowhere to be seen. You go back to the top of the stairs and try the other direction. Turn to 41. 31: As Slank flails about blindly, you raise your bow and shoot the specially prepared arrow straight into his evil heart. He falls dead at your feet. Turn to 20. 32. You descend a flight of stairs into what seems to be a pillared ballroom with a floor of polished white marble. There is a shadowed archway across on the other side of the room. However, as you walk warily towards this, you make a startling discovery – the floor underfoot is not marble at all, it’s solid ice. Several inches below you, frozen in the ice, you can see a bizarre demonic mask. As you peer down at this you suddenly realize how cold the room is getting. Your hands are turning blue and your teeth chatter uncontrollably. Do you have a bearskin rug? If so, turn to 26. If not, turn to 59. 33: Vimbol shrugs. ’Too bad. Still, maybe you can finish Slank off anyway. You’ll just need to be that much more careful. Now, I wish you good luck.’ He shows you to the library door and the two of you shake hands. As you continue along the corridor you can hear him replacing the barricade on the other side of the door. Turn to 2. 34: You climb up to the first floor landing. From here you can go left (turn to 41) or right (turn to 61). 35: The mask is of black-laquered wood decorated with silver, and could be a fanciful representation of a demon’s face. You have seen its like at several masquerade parties, although never crafted with such chilling effectiveness as this. Curiously, the mask has only one eye – the left – and that has a quartz lens set into it. Will you touch the mask (turn to 47), take out one of your items (turn to 79), or depart through the dark archway (turn to 18)? 36: You pour a little of the oil from your lantern onto the surface of the pool, thereby calming the troubled waters. The undine immediately becomes quiescent and sinks back into the pool. You cautiously dip your hand into the still water to take the stone bottle. If you wish to unstopper this now, turn to 63. If not, note it down on your Character Sheet and turn to 44. Copper plaque – To slay me you must pass through this door. Bronze plaque – You should not pass through this door. Lead plaque – The correct path is not beyond the copper-plaqued door. You grit your teeth. The demon is obviously toying with you. His mistake. You could open one of the doors–the door with the copper plaque (turn to 88), the one with the bronze plaque (turn to 70) or the one with lead plaque (turn to 13). Or you could take an item from your backpack (turn to 17). 38: You enter a large, low-ceilinged room with no other doorways. In the centre of the room stands a tall man in voluminous robes. He wears a patch over his right eye and stands by a pool of blood which is flowing from a gash in his arm. If you want to talk to him, turn to 82. If you want to take an item from your backpack, turn to 4. 39: You lift the ladle and sip a little of the mixture. Roll five dice – if you score equal to or less than your Constitution, turn to 5. If you score greater than your Constitution, turn to 68. 40: You stand over the fallen body for several minutes, half expecting Slank to rise a second time, and ready to renew the battle at once if he does. But he used the last of his sorcerous power against you; this time he stays dead. Turn to 89. 41: You advance along a narrow corridor illuminated by the amber glow of oil lamps. Shortly you come to a door in the left-hand wall. You can try the door (turn to 51) or continue on along the corridor (turn to 2). 42: Do you have the Wristband of Lightning? If so, turn to 62. If not, an electrical discharge as you try to step into the alcove hurls you back across the room. Deduct 4 points from your Constitution; if you are still alive you decide to leave and continue along the corridor – turn to 6. 43: Smiling viciously, Slank steps from the alcove and stands before you, huge and awesome and casting no shadow. You hear the rumble of the approaching storm, drowned out by Slank’s laughter. His surcoat and boots and vambraces are as black as the night and trimmed with silver; his pale skin has a translucent gleam. At first glance the face might almost be considered handsome – but then you see the clouded, sightless right eye, the face around it scarred and mutilated by terrible burns. The good eye shines with an awful, corrupt light and the expression twisting those fine features is one of utter evil. Slank holds a lacquered mask in his left hand, and he brings this up now to cover his face. The mask has a quartz lens which shields his good eye, so even if you have the teardrop you cannot use it. Neither is there time to draw your bow–you must fight him. Turn to 48. 44: Will you leave the circular room through the door to your left (turn to 58), or will you return to the landing and open the door with the copper plaque (turn to 88) or the door with the bronze plaque (turn to 70)? 45: Which of the following will you use against the undine? The Ring of Light (turn to 80); the Potion of Dazzling Speed (turn to 15); your lantern (turn to 36). If you decide not to try any of these, turn to 50. 46: Slank is using his foul magic to try and persuade you to serve him, but no demon will ever corrupt an honourable and undaunting spirit like yours. Grimly, you push the curtain aside. Turn to 7. 47: The mask is so cold that it burns your fingers. You try to wrap it in your cloak, but you can still feel the unnatural chill of it sapping your body heat. You cannot take it with you, then. Will you take an item from your backpack (turn to 79), or leave the room (turn to 18)? 48: Slank advances on you -. with a panther’s grace, his robes fluttering in the breeze. There is a cold, damp, earthy smell like a waiting grave. The talons of his right hand are almost a cubit long; they sparkle like crystal and are razor-sharp. SLANK: Fighting Prowess: 12; Constitution: 23; 3-pt armour. If you manage to defeat him, turn to 20. 49: Beyond the double doors you see a dimly lit room. A pine torch burns in a bracket on the wall. The same heavy incense you noticed before lingers here. At the far end of the room you can just make out a darkened archway. There is blackness beyond. Will you return to the hallway and go upstairs (turn to 34), or cross the room to the archway (turn to 16)? UNDINE: Fighting Prowess: 6; Constitution: 5; no armour. If you win, turn to 3. 51: The door seems to be barred or barricaded shut. Will you knock (turn to 28), or carry on to the end of the corridor (turn to 2)? 52: The correct answer is ‘peerless’. If you answered this, turn to 30. If you answered anything else, turn to 19. 53: You slice through her bonds with your knife and carry her over to a corner of the room where you gently set her down. Gain 1 point of Honour for your charitable action. The woman nurses her blistered feet for a while, then looks up at you and speaks. ‘I was a witch, and I sold my soul to the demon in return for knowledge and occult power. For helping me, I will give you what little aid I can.’ She puts a catskin pouch around your neck – increase your Magical Fortitude by 1 above its initial level for as long as you wear this. She also gives you three silver coins. ‘These may show you the way,’ she murmurs cryptically. Each has a unicorn’s head on one face and a serpent’s head with a forked tongue on the other. You are about to question her further when you see that she has passed out. You moisten her lips with a little wine, then pocket the coins and leave. Turn to 37. 54: Curse the luck! Your knife breaks. If you didn’t have a sword then you are now without any weapon at all, and must subtract 2 from your damage rolls from now on until you find one. 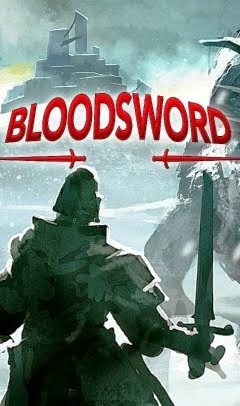 If you do have a sword, you are certainly not going to risk breaking its blade on the ice. You decide to leave the damned mask where it is and go through the archway. Turn to 18. 55: By pouring salt over the ice you lower its freezing point; it starts to melt, and you now have little difficulty in digging down to the mask with your knife. Turn to 35. 56: Before continuing on your way, you could take either the poleaxe or the now-lifeless rug. You cannot take both because they are rather bulky items. You then proceed to the double doors at the end of the room. Turn to 32. 57: You leave the teardrop in the mask’s one eye and then cross the room to the archway. Cross the tear off your Character Sheet. Turn to 18. 58: You enter a long, oak-beamed dining hall with fading portraits high up on the walls. Ignoring two smaller doorways, you make your way along the table towards the double doors at the far end of the room. You pass a wide stone hearth where a raging log fire crackles and spits. Over the hearth hangs a great poleaxe and on the floor in front of it there is a fine, white bearskin rug. You can either go over to the hearth (turn to 76) or carry on to the double doors (turn to 32). 59: You panic and run for the archway, but your feet slip on the ice and you scramble frantically on all fours. Roll four dice, attempting to score equal to or less than your Constitution. If you succeed, turn to 29. If you fail, turn to 65. 60: You have no trouble in breaking the rusty manacles from his wrists. ‘What a generous soul you are!’ he exclaims, favouring you with a rather peculiar smile. ‘How about a game of pilliwinks?’ Will you accept his offer (turn to 21), or decline to play (turn to 71)? 61: You walk along a short passage and come to a low door. If you want to go through this door, turn to 38; if you want to turn back and go the other way, turn to 41. 62: An incandescent bolt arcs across the alcove entrance as you step through it, but the energy is absorbed by your Wristband and you are unharmed. The sword hangs on the wall before you. The rubies glitter and the metal gleams in the wan light of the two braziers to either side of the alcove. As you reach for the sword, thick smoke billows up from these braziers and coagulates into a dark serpentine form in the air above your head. With a shock, you realize this smoke-creature is alive and intent on fighting you! RAUCHWURM: Fighting Prowess: Constitution: 8; no armour. If you win, turn to 11. 63: An emerald vapour issues from the open neck of the bottle. When it clears you find a tall figure with green skin standing before you. Arms folded across his barrel-like chest, he bows low. ‘Greetings, master!’ he booms. ‘I am Ghilbee, and for releasing me I can grant you skill, stamina or knowledge.’ If you choose skill, he will restore your Fighting Prowess to its initial level. If you choose stamina, he will restore 4 points of your Constitution. If you choose knowledge, he gives you a clue to defeating Slank (turn to 69 to find out what it is). After performing whichever of these services you request, he vanishes. Turn to 44. 65: You are only a few J. yards from the archway, but the terrible cold numbs your limbs and you slump down on the icy floor. You cannot feel any pain, but you realize you are dying. You note with dispassionate wonder the curious sighing sound your breath makes as it freezes on the air. Strangely calm, you surrender to the eternal dark. 66: The doors do not look any different when viewed through the crystal ball. Turn back to 37 and think again. 67: Holding up your lantern, you crossover to the archway – only to find that the passage beyond ends in a blank wall after only a few yards. You search in vain for a secret panel, but you are finally forced to accept that it is a dead end. Puzzled, you return to the hallway and try the stairs. Turn to 34. 68: The effect of the brew hits you like a poleaxe and you fall to the floor. This is the favourite soup of the demon, but to any mortal it is a virulent poison. The life ebbs from your pain-wracked body. Your quest has ended in failure. 69: Before he disappeared, the genie told you cryptically that ‘the eyes have it’ and suggested that you go back to the landing and try another of the doors. Turn to 44. 70: You open the door into what seems to be a kitchen. It is full of smoke and steam and is almost unbearably hot. Looking around, you see a cauldron bubbling over the roaring fire and a small doorway to one side that presumably leads to the larder. Directly across the kitchen from where you entered is a copper-bound door stamped with odd runic designs. You can look in the larder (turn to 22), look in the cauldron (turn to 85) or go to the next room (turn to 58). 71: He shrugs and seems to fade away into the shadows. You are alone. Go to 9. 72: ‘Excellent. After killing Slank you must scatter the ashes over his body. Now, I wish you good luck.’ You shake hands before taking your leave of him and continuing along the corridor. Behind you, you hear pushing the library furniture back against the door. Turn to 2. 73: The room consists of a hexagonal main chamber with a large alcove off the far end. Hanging on the wall in the alcove you can see a gilded longsword decorated with rubies. As you step closer, you notice an acrid smell in the room and a blue-white glow flickering across the alcove entrance. Will you step into the alcove (turn to 42), or continue along the corridor (turn to 6)? 74: You are one of the most disreputable and unprincipled degenerates of all time. Slank is trying to convince you to become his servant, but no way are you going to take orders from an upstart like him! You sneer and rip down the curtain. Turn to 7. 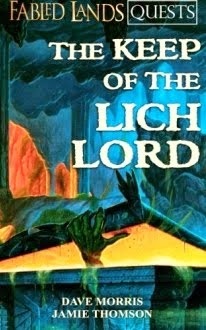 75: Smiling viciously, Slank steps from the alcove and towers over you in his robes as black as night. At first glance his face might almost be considered handsome – but then you see the clouded, sightless right eye, the face around it scarred and mutilated by terrible burns. The other eye shines with an awful, corrupt light, and the expression twisting those fine features is one of utter and inhuman evil. From outside the tower comes the rumble of distant thunder, and Slank answers it with triumphant laughter. If you have Perterra Greengosh’s teardrop, you can cast it into his eye – turn to 87. It you don’t have this item, you must fight him – turn to 48. 76: As you step forwards, the rug comes to life and rises up, challenging you with an eerie, hissing growl. BEARSKIN RUG: Fighting Prowess 5; Constitution: 7; no armour. If you defeat it, turn to 56. 77: You attack the ice with your knife blade, but it is refreezing as fast as you can chip it away. If you are determined to reach the mask you will have to think of something else to try – turn to 8. If you are ready to give up and go through the archway, turn to 18. 78: Slank can scent your fear and almost hear your racing heartbeat. Although blind, he is yet dangerous. He lunges at you with the long, sparkling talons of his right hand, using them as a fencer uses a sword. If you defeat him, turn to 20. 79: If you have them, you can use: the four leaf clover (turn to 81); the daughter’s teardrop (turn to 57); a newt’s eye (turn to 14). If you do not have any of these, or do not wish to use them, you now leave the room (turn to 18). 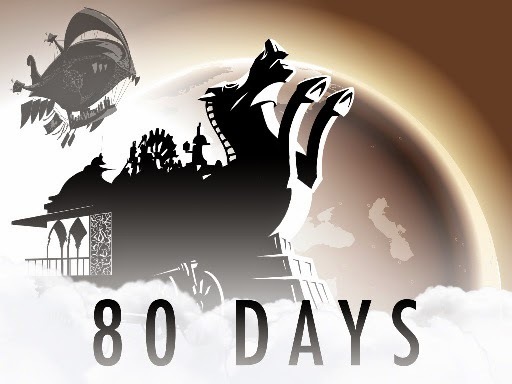 80: Your ring emits a blinding pulse of light, but this has no effect whatsoever on the creature. It strikes you with a watery fist as you fumble for your weapon – roll one die to determine the damage from this blow, then turn to 50. 81: You leave the clover in the mouth of the demon mask. That should prevent Slank from touching it. You trudge across the icy floor to the archway and step through. Turn to 18. 82: He comes over and lays his hands on your shoulders – apparently in a gesture of friendship, but you feel as if you are bound in shackles of cold iron. He fixes you with his one good eye and says, ‘I have a riddle for you. My first is equality, my last is inferiority, and my whole is superiority –what am I?’ Decide on your answer (think carefully!) and then turn to 52. 83: You notice a bottle of grey-green stone at the bottom of the pool. Before you decide whether to reach in and take it or not, the surface of the pool starts rippling and heaving like a lake in a storm. Suddenly a watery being rises up out of the turbulent pool. Will you draw your weapon (turn to 50), or find some other way to fight it (turn to 45)? 84: Hushed, whispering voices seem to call from outside the tower. ‘Awake, master. Death cannot hold you.’ You go to the window and look out, but there is nothing but the night and the howling wind. Something stirs behind you. You freeze at the sound, then slowly turn... Slank has risen again, but altered now to his true form – he is much smaller than before, stooped, almost frail. His face is grey and lined, twisted and misshapen such that the hollow sockets of his eyes are not level. The effect is even more horrible than his previous appearance. ‘I still have one life left,’ he snarls. The voice is a strangled, halting croak. His power is greatly diminished, but you will have to fight hard to prevail against him. If you beat him, turn to 40. 85: You gets whiff of the stuff in the cauldron when you are only halfway across the room, and it almost puts you off taking a look. When you do look, you wish you hadn’t – it is a green, slimy broth full of unmentionable ingredients. If by any chance you want to drink this foul brew, turn to 39. Otherwise you could continue on into the next room (turn to 58) or investigate the larder (turn to 22). 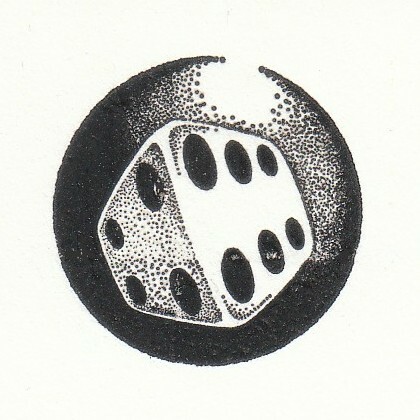 86: Roll one die. If you score 4 or less, turn to 54. If you score 5 or 6, turn to 10. 87: The little girl’s teardrop is like an acid to Slank. He screams in rage and pain and clutches at his eye. Did Vimbol Greengosh explain to you the purpose of the armour fragment and the nun’s hair? If so, turn to 31. If not, turn to 78. 88: You pass along a winding tunnel and enter a vaulted room lit with a sombre green radiance. A dark silhouette takes form in front of you. A tall, majestic woman. She is – magnificent. You stand in awe. A watery green hue dissolves from the room as she lifts the veil covering her face and you stare into the unfiltered light of her eyes. They shine like polished jade. You try to turn away, but, try as you might, you cannot break her mesmerizing gaze. At last you are alone in the castle. You descend through the empty halls and stride away across the marshes. You do not look back until you reach the Mungo Hills, and by then there is no sign of the castle. As you make your way back towards the town, you find that seers and wizards have already learned of your success. Balladeers roam the villages singing epic songs which tell of the archfiend’s destruction and which refer to you as Demonslayer, or Knight of Souls, or several other rather flattering titles. Hogron and his brothers have invited the whole town to an alfresco party in your honour. You are carried shoulder-high through the streets to the main square, where Hogron delivers a long-winded speech and then presents you with a chest containing 700 gold pieces and a suit of enchanted chainmail! Your quest is ended. But keep your Character Sheet somewhere safe, for who knows what great deeds yet await you? 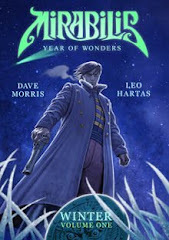 Here is the final instalment of our Yuletide Dragon Warriors adventure. 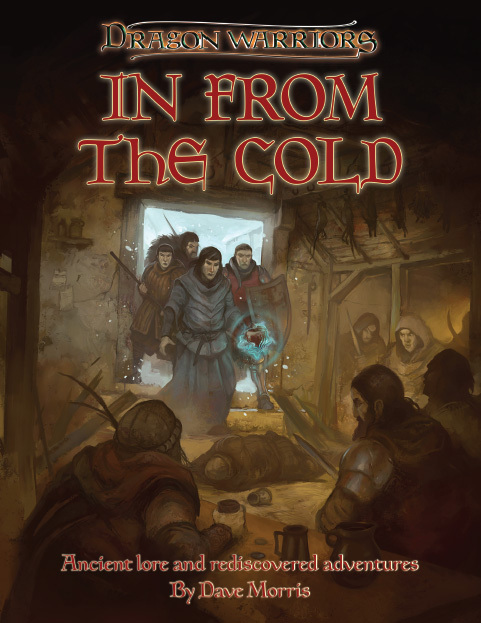 You can pick up the books from DriveThruRPG here. And don't go sneaking a peek at today's post if you're going to be playing in someone else's game, now, will you? Shortly after midday (or late afternoon if trapped by the faerie storyteller), you reach the edge of the forest, A few hundred yards on the river forks in two. A low cottage with a blue wisp of smoke curling from its squat stone chimney stands on the river bank, a woodpile beside it and a small boat beyond. GM: Erik Iceheart waits inside the cottage for the party. He and Caedmon arrived hours ago, murdered the trapper who dwelt here, and hid his body in the woodpile. They left the woods some way to the west. Their footprints, now partially obscured by fresh snow, will be found only if the party specifically scouts around. Caedmon has gone on to Talionis’ lair alone, leaving Erik to deal with the pursuers. You are some fifty paces from the cottage when a man wrapped in thick furs emerges from it. Approaching you, he introduces himself as Jorundr the trapper and gruffly warns you that if you mean to rob him he will put up a good fight. He pushes away his cloak, revealing his scabbarded greatsword. GM: Erik’s plan is to wait until the last two are about to cross, and then attack them. After putting them down, he will then take cover in the cottage to avoid any arrows the others may shoot at him from the far bank. After waiting for the party to leave, he will track them and pick them off. If the party decide not to cross the river here, for some reason, he’ll misdirect them and follow the latter tactic. If at any stage Erik thinks he is in serious personal danger, he’ll either flee or bargain for his life with information. He is very canny, remember and will demand a holy oath from the party that he goes free and unharmed if he keeps his side of the bargain. 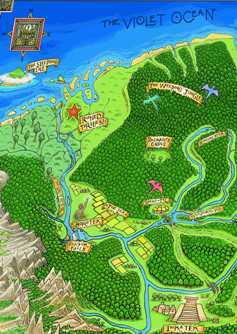 The party’s map shows that the dragon’s lair is at the head of one of the two branches of the river, but which branch? A close look will reveal that the western branch is faster-flowing and slightly warmer. This is because it flows through the heat of the lair at its source. The eastern branch will be found to be frozen over half a mile upstream. It is now late on the night of the winter solstice. Stars glitter in the sky like hoarfrost. You have followed the river into the foothills. The river is considerably warmer here, melting the ice and snow on its banks. Trudging up a sleep slope, you see where the river gushes from a fissure. After stooping to pass through, you light torches to reveal a winding passage through which the river flows. You are on a rock ledge barely wide enough for two to walk abreast. The other wall, some 20m away, holds a still narrower ledge on that side of the river. GM: The ledge is slippery. Traversing it takes four rounds and each character must check each round to see if he slips. Treat this exactly like a climb with a Difficulty Factor of 10. Anyone who slips will get one final chance to roll reflexes or less on 1d20 to grab the edge before sliding into the river. If they were nearer the wall, they also bowl anyone alongside them into the water as well. 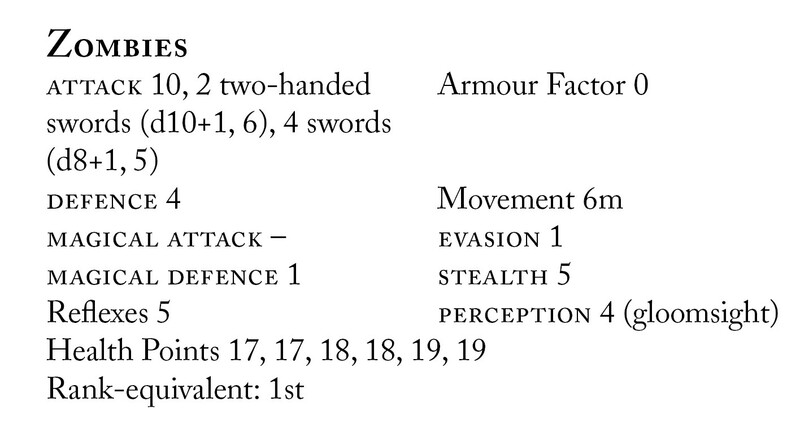 Up to three characters can grab at a falling companion, needing to roll reflexes or less on 1d20 to get a good grip. If at least two people can grab him, the character is saved otherwise he is swept away and drowns. After what seems like hours of tortuously traversing the ledge, you round a bend and enter a cavern through which the river flows. There is more space now, at least six metres between the wall and the water, and you may quickly reorganise your battle order before advancing. It is much warmer, and you throw off your heavy furs. The river issues from another passage about twelve metres ahead. Beside this is a pile of fallen rocks— and something else, something gleaming like ivory. The bony corpses of several long dead warriors. Their bones are very white: cobwebs veil their eyeless sockets; tattered flesh hangs from their limbs; their weapons and scraps of armour gleam bright and clean. 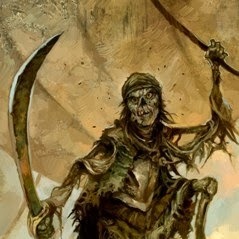 You feel your skin crawl as the skeletons rise from the dust and move out to block your path. As you prepare for combat, a slight form resting on an oak staff emerges from the shadows of the passage ahead. He brushes some dust from his fingers. There are only two pouches at his belt now. He gives you a last look of mingled amusement and regret, and turns back into the darkness. GM: Caedmon has used his Reanimate the Dead spell on some fighters slain by Talionis over the years. The number of zombies is one more than the number of the party, up to a maximum of eight. Treat them as zombies even though they really don’t have that much flesh on them now – a more accurate term in this culture would be draugar. 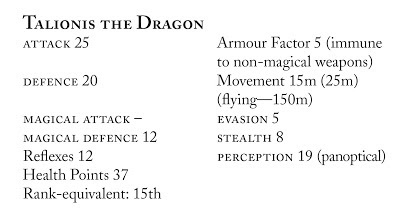 Given the scarcity of magic, the characters will never have encountered the undead outside of mead-hall stories, so get them each to make a morale check (Dragon Warriors, page 122) against an effective ATTACK of 15. A character who fails won’t flee, but will be rooted to the spot (able to defend but not attack) for 1-6 rounds. GM: This is the Pool of the Wyrm’s Ancestors from which the king drank. One sip will give the drinker fleeting images of the future—nothing very specific, and not of the immediate future. A second sip at any time has a 50% chance of causing insanity (Dragon Warriors, p. 124); and any further sips guarantee insanity. The water loses this magical property, and its colour (why the river isn’t blue) five seconds after leaving the pool, so it is of no use if taken away for later use. The party will have no time to investigate the pool now. If they help Talionis against Caedmon, she will offer them each a sip later, and warn them that they must never take more than one sip. The vision each character has is up to the GM. It should be something that will be of use to the character. For example, ‘You see robbers lurking in some bushes, about to waylay a lone rider. It is spring, judging by the flowers and leaves. 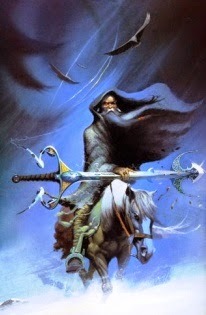 The rider comes closer and you recognize yourself!’ The character is thus forewarned of an ambush. There is a stillness in the air. The passage winds on another 18m and then seems to end abruptly, but shadows dancing across the glistening rocks make it clear that the tunnel does not end here but snakes sharply to the left. Turning the corner, you find your way blocked by a wall of flame. 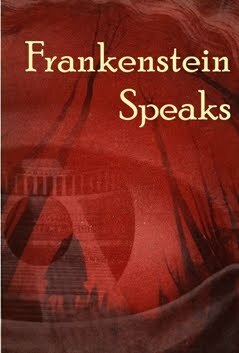 From beyond it you hear the roar of a great beast and a human voice speaking in an unknown tongue. GM: Hengist’s advice was correct—anyone of the True Faith, as well as pagans who live an essentially virtuous and honourable life, can walk through the flames unharmed. Characters such as demonologists, darkness elementalists, or others who have performed wantonly evil acts, will take 4d6 damage on walking through the flames—but if their intention is to aid Talionis, the damage taken is the minimum possible (ie, 4 points). They may attempt to leap the flames to avoid the damage (roll reflexes or less on 5d6, or be damaged anyway). You step from the fire into a huge cavern. The dragon’s golden egg is on the far side, cloaked by protective flame. Caedmon and Talionis are eighteen metres away, squaring off for their final battle. Neither has noticed you. Talionis rears up, spreading her great wings to the cavern walls. Caedmon’s flesh is coated with a bizarre ashen powder, as though he had already been burned by the dragon, but coruscating tongues of eldritch white flame lick around him too, unlike any dragon-fire. 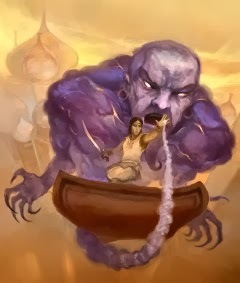 Raising his hand, he shouts a spell just as Talionis unleashes her fiery breath. White lightning arcs over red-gold flames. Talionis shudders as the wizard’s Deathlight bolt sears her; but it seems that Caedmon must be defeated as for several seconds he is engulfed in the dragon’s awesome inferno. GM: The party’s arrival means some quick rethinking for Caedmon. His bolt wounded the dragon severely, so he should be able to finish her off with the power in his Ring of Red Ruin. But he must manoeuvre so as to catch the party with his bolts as well; or else try to slay Talionis quickly and reach the egg before the party can stop him. He has not long before his Amianthus Dust and Ring of the Burning Halo subside, and he’ll need 1 combat round with the Dust still working, to get through the egg’s protective flame. He is out of dragon dust, but has his Rings and his 1st- and 2nd-level spells. Remember that Talionis is protecting her egg. She realises that the party want to help her, but that will not prevent her from breathing on Caedmon if they are in the firing line. If the party and Talionis defeat Caedmon, she will invite them to spend the solstice celebration with her. Her fledgeling hatches at midnight and takes an immediate liking to his soul-brother Osric. (Dragons in this world spend eighteen years in the egg listening to the voices of their ancestors before hatching. The young dragon, Protervus, is almost adult, therefore.) Talionis herself keeps calling Osric by his father’s name—it seems to her such a short time since she saw her old friend! You may decide to let PCs choose an item from her treaure hoard. Talionis will remember them in the future, and may be able to provide boons or ancient wisdom, becoming a powerful if reclusive patron and even instigator of future adventures. Okay, that's my sign-off for the holidays. Whether you adhere to the True Faith, the Old Gods or bow to no supernatural forces of any kind, enjoy the undoubted magic of the intercalary days and I'll see you on the other side. Yo ho ho. In the early evening of the first day, you reach the junction of two rivers. There are a few cottages, an inn, and three boats down by the river, which is not frozen over. Osric suggests stopping at the inn, and also enquiring there about hiring a boat. The low-ceilinged inn is murky with smoke from the fire in the grate, but gloriously warm. One or two figures sit drinking at crude wooden benches. The innkeeper, Owain, greets you, observing that you are not the peasants or impoverished travellers he usually caters for. Osric does not introduce himself, but orders cups of mulled wine. GM: Anyone who says they’re diving for cover at this point automatically evades Caedmon’s Deathlight spell. Osric is quick-witted and will have done this. Other characters will need to roll as normal. With a crack like thunder, an incandescent white bolt leaps from the wizard towards you. Utter confusion follows. After you pick yourselves up, the wizard has gone; the door bangs open in the wind. 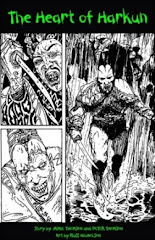 GM: If the characters follow, they see Caedmon getting into one of the boats, a hooded figure (Erik Iceheart) already at the oars. The boat moves off upriver. The other two boats have been sabotaged. Any character with a bow has time to fire 4 arrows before they’re out of range. The first two will miss automatically as the archer adjusts for the wind. The remaining shots are at –4 to hit. If hit, Caedmon will retaliate by Enslaving one of the party who will then try to stop his friends from firing. Inside, Owain is inspecting the damage. Several beams are charred and a few stones around the fireplace are cracked. Shrugging, he begins to set the scattered stools upright. You spot a very small leather pouch on the floor near where Caedmon was sitting. It is empty but for one or two grains of golden dust. GM: Since he seems relatively unperturbed, Owain may be suspected of having known Caedmon’s intentions. But the innkeeper will maintain (truthfully) that Caedmon, a regular if infrequent visitor, has used his sorcery often enough for Owain not to be startled by it. If asked about the pouch, he will add that Caedmon always wears a number of such pouches at his belt, but on this visit he seemed to have only four. The pouch they have found contained the dragon dust used to cast the Deathlight. The next day is even more bitterly cold. You trudge through sparse woodland under a bleak, grey sky. Snow threatens. You spy a splash of red ahead, gleaming against the snow. A wild rose. More are scattered along in a winding trail, though there is no sign of footprints. Examination reveals that the roses have been cut rather than plucked. GM: It is up to the player-characters whether they investigate this. Osric will go along with the majority decision. The trail of flowers leads to a stagnant pond in a small copse. The pond is iced over—black, with a powdery sprinkling of freshly fallen snow. It is eerily quiet. As you watch, a cold wind swirls the snow in patterns across the ice. Slowly the patterns coalesce and rise into the silver, spectral image of a beautiful woman. 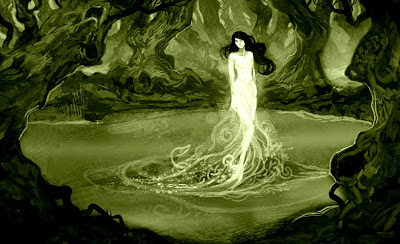 Her hair is long and black; her skin, like alabaster. The only colour is the rubies set in tarnished silver links about her pale throat. Her expression is infinitely sad. GM: If anyone has collected a rose, she drifts towards them, holding out her hands, imploring. 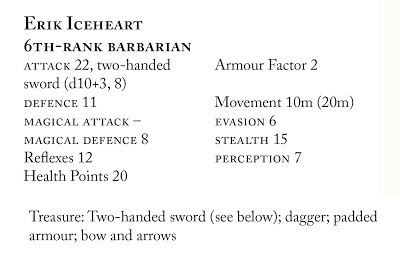 If anyone reaches out to her (perhaps to hand her a rose), she matches her magical attack against their magical defence; if she is successful, they are drawn onto the ice, which has a 15% chance of breaking per person on it. If no one reaches out, she pauses at the edge of the pond for a few moments, then starts to fade. Suddenly (automatic surprise), the ice shatters and a rotted crone, clad in decaying rags, mud and tangled weeds, leaps from the black waters. 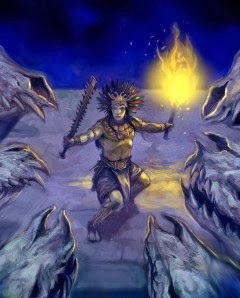 Her dread shriek chills the blood; match her magical attack against each character’s magical defence, with success meaning that the character stands stock-still, paralysed with terror, for 2d4 combat rounds. 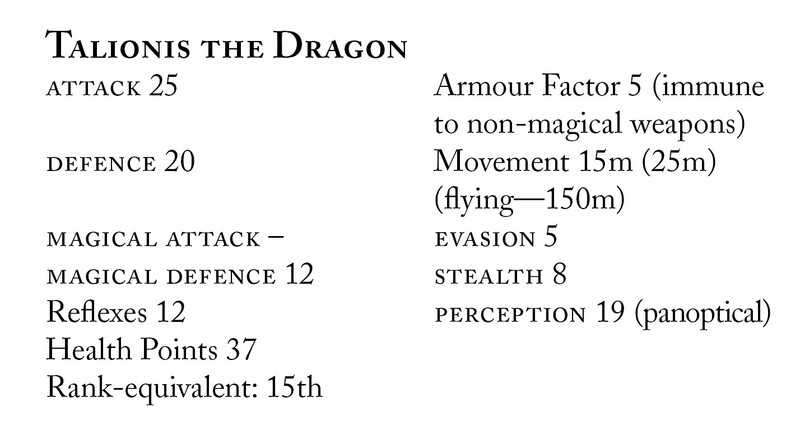 This foul undead being can create Illusion (Dragon Warriors, p. 82) at will. Her chilling touch works in exactly the same manner as a wraith’s (Bestiary, p. 86). She takes no damage from the first hit on her struck by each opponent, but takes double damage when hit by anyone who bears a holy relic of any kind. If slain, she rapidly decomposes into muddy slime. If she is slain, any roses collected by the party or left lying in the snow will have vanished. At nightfall, having gathered fuel, you sit around your fire devouring stew. A lone peasant comes into sight gathering wood. He greets you and asks to share the fire for a while. He is fairly young, below-average height, and wears dark green garments of coarse wool. 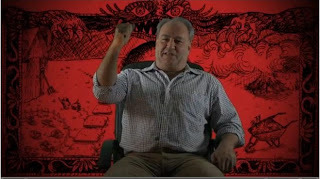 GM: If questioned, he says he will tell a tale of past and present, a tale of a dragon. Any who listen (Osric and any NPCs will) will fall asleep. The next thing they know will be when they awaken beside the burnt-out fire under a cold afternoon sky. Any player who says their character is turning his attention to anything else as well as, or instead of, listening to the tale will notice the others dozing off. If he asks, he should be told that he feels drowsy himself but can jerk himself back to wakefulness to see a premature smile of triumph on the face of the young ‘peasant’(actually a faerie creature). A single shout will rouse those asleep, but the faerie will have vanished completely, without a trace. If the party succumb to sleep, they will lose six hours, waking early the next afternoon. This must be made up by pushing on quickly and perhaps even marching on after nightfall. Characters will fight at –1 attack and defence, and be down 1-3 Heath Points, through fatigue after such exertion, until they get a full night’s sleep. Final instalment in three days. 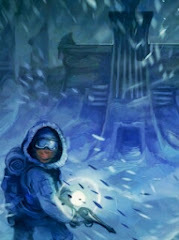 The artwork of the vough is by Jon Hodgson and if it makes you shiver, so it should. 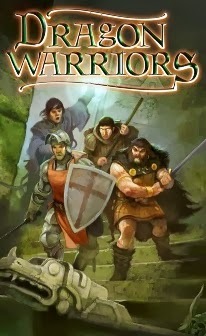 And by the way, if you're looking for Dragon Warriors books to run this adventure and you don't hold with piracy, you can buy the legitimate rulebooks from Serpent King Games here and help ensure there are more releases to come. Thanks! 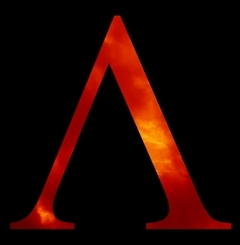 The forty-two-year-old King Athelred rules Beorsca from Hreod Castle. The first of his line, Athelred deposed the previous king when barely twenty-one. He is a capable and fairly popular ruler, still strong despite his years. Under him, priests of the True Faith have gradually prevailed against the Old Gods, whose worship is now reduced to a very few. Note: This scenario should be read to the players virtually as written. All the text that appears in red is intended to be read out loud. 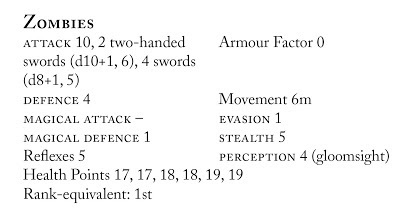 Information not to be read to the players is and marked ‘GM’. was seen in burnt barns and barren fields. scaling high peaks to put an end to fear. they advanced to face their foe. while steel remained sheathed and shields unlimbered. it was a time for the giving of gifts. waters where he glimpsed and grasped his destiny. His friend favoured a future drawn in dust." During Skuli’s ballad, Athelred’s usual gusto and ebullience slip away. By the end, he is listening intently, sombre-faced and sober. There is silence. The bemused Skuli makes way for some tumblers while Athelred rises shakily and leaves the hall on the shoulder of his eldest son, Osric. 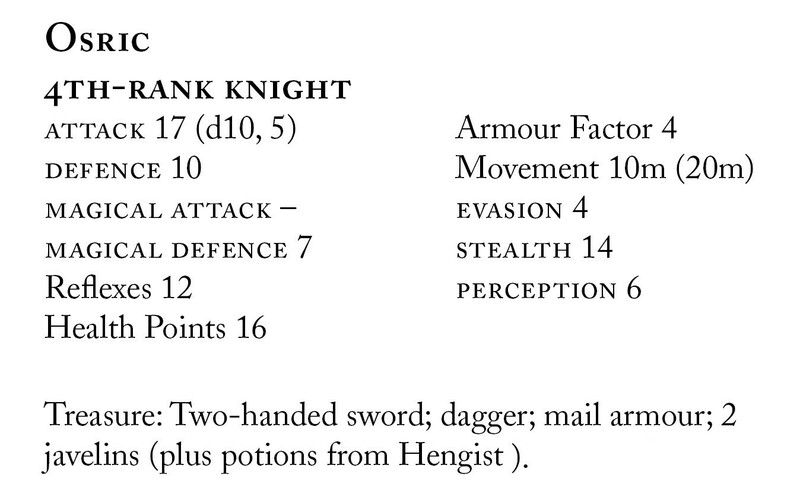 The best and most stalwart of the king’s warriors (including any PC knights and barbarians) also rise and file out. GM: Outside the king’s chamber, the warriors are met by Queen Gudrun and the royal advisor, an old monk named Hengist. (Hengist is an accomplished sage with expertise in history, languages, legends and theology and some knowledge of astrology and dweomercraft.) Gudrun tells the warriors, ‘Your liege is troubled and has retired to his chambers. If the king needs you I will send for you.’ Hengist, realising that something of great import is in the offing, sets about gathering men with skills to complement those of the king’s warriors. A messenger is sent to the nearby abbey. He returns with any PC mystics; if none, then one NPC Mystic. Some hours after midnight, there is a commotion as Athelred comes striding from his chamber. Half-slumbering men-at-arms rouse: Gudrun throws a fur cloak across his shoulders as he marches out into the snow pursued by Osric, Hengist and some men-at-arms (perhaps including some player characters). Athelred, stone-faced and intent, strides toward the minstrel encampment oblivious to the biting cold and Hengist’s protests. Some of the minstrels rise to their feet, bewildered and a little alarmed at the visitation. but counts for little in the dragon's unblinking eye. In such a time, the tide of treachery can rise. Blue eyes now glint with greed; hatred dwells in the heart. seeks to steal and shatter the dragon's shell. that one shall mourn his golden son." ‘Many years ago, before I was king, Beorsca was troubled by a dragon who dwelt in the northern mountains and came down to steal away cattle. Many were the heroes who sallied into the old worm’s lair nevermore to see the light of day. Two young warriors came at last, hoping to win fame and fortune. The warrior with eyes like the cloudless sky was Caedmon. I was the other. ‘We entered the caverns to put an end to the dragon or die in the attempt. But when we met her, she spoke to us in an old tongue which Caedmon knew, and so we parleyed with her. A magic pool had become stagnant; a pool sacred to her. We unblocked the channel into the pool by swimming within—something the dragon was too large to accomplish. After many hours, for there was much rubble below the water, the pool flowed fresh again. The dragon agreed not only to honour our earlier bargain that she nevermore troubled Beorsca, but also to add gifts of our choosing. With the water flowing again, the pool had a magical hue; I requested that I might drink of it and received a single sip which showed me dreams of things to come. This knowledge stood me in good stead when I wrested the kingdom from corrupt old Pendris. My friend, Caedmon, who had some knowledge of wizardry even then, saw a golden dust in the lair, fragments of an unhatched dragon’s egg shattered by a warrior years before. He desired this for its sorcerous properties, and the dragon gave him half-a-hundred pinches. Hengist also tells of something he has read in one of his books: ‘Those who are true of heart need fear no harm from the dragon’s inferno....’ The book was penned by Ulrich, a monk, by whose advice Hengist sets great store. Finally, he hands the party a rough map which he helped the king to prepare; but Athelred warns that years have passed since he took this route, and the map is uncertain in places. The next instalment is on December 16. Don't read it if you're going to be playing in this adventure. Still, while not necessarily subscribing to the cause espoused by the brethren of the coast, I can see that, at this time of year, yes, content does want to be free. And in that spirit – and incidentally as a roundhead, not a cavalier – in the run-up to Yule I’m serializing “A Ballad of Times Past”, a seasonal standalone scenario in a world with very little magic. 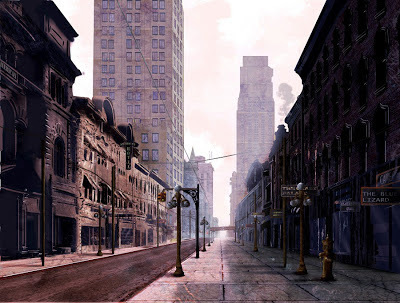 Today we’ve got the background and cast of principal NPCs, then the adventure itself in three instalments over the next nine days, giving you plenty of time to arrange a solstitial RPG session. The adventure is set in Beorsca, a small kingdom in a land very much like Dark Ages Scandinavia. The practitioners of magic are even scarcer in this world than in Legend: all sorcerer, elementalist, warlock and demonologist spells above 2nd level require, as the material component, a pinch of dragon dust made from the powdered shell of an unhatched dragon’s egg (in hatching, the fledgling drains the magic from the shell). As obtaining dust would involve getting past a protective mother dragon, magic is very rare. One whole eggshell would provide one hundred pinches of dust. Players should be told that spellcasters are almost unknown, but not why. Characters should be generated specifically for this adventure, and are 5th rank. 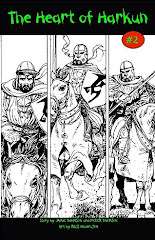 They can be knights or barbarians (retainers of King Athelred involved from the start). There is also room for one mystic and/or one assassin (from the local abbey and minstrel troupe respectively, who join in as indicated in the text). Mystic spells do not require dragon dust, but in this world there are no mystic spells above 3rd level. Needless to say, if you're going to be playing in this adventure you should stop reading right now and come back after Christmas! Osric, the heir to the throne of Beorsca, is not quite 18 years old. A tall and handsome youth, he is probably the sort of warrior his father would have liked to be, for although Athelred has remained doggedly true to the new religion, he never has the effortlessly pure heart of his son. Osric’s long golden hair and grey eyes make him much like a younger version of his father, though he has not the king’s full beard or battle scars. In his youth, Caedmon was a close friend of Athelred. When they befriended the dragon some 20 years ago, Caedmon was given fifty pinches of dragon dust. He now chafes at the fact that his former friend went on to win a kingdom while he lives in his tower in bitter and lonely seclusion. This resentment eventually drove him both mad and evil. He wants enough dragon dust to have a chance of taking over the kingdom, but failing that he will settle for enraging the dragon into causing widespread destruction. Caedmon has not borne his 42 years as well as Athelred, He is frail and bent. His hair is sparse, and his complexion is unhealthily sallow. Only his eyes reveal the hidden energies within, for they are a clear and most startling sky-blue. Erik is a slightly built man in his early thirties. He is of medium height with a handsome face and short, golden brown hair. A travelling mercenary, he came to Beorsca six years ago and fell in with Caedmon. He intends to help the wizard get the dragon dust (hopefully with minimum risk to himself ) and eliminate him once they have won the kingdom from Athelred. Erik is utterly cold-blooded, and quite willing to dispatch anyone in the way of his plans, hence his nickname. 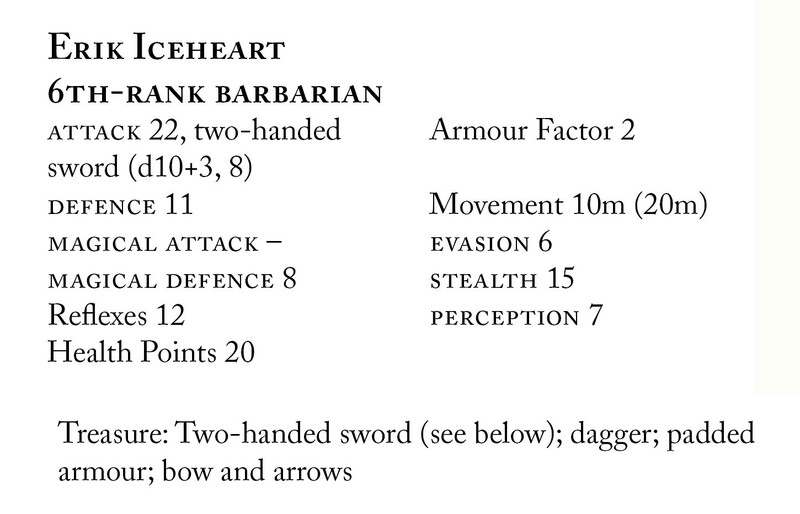 Erik’s sword, Ymir’s Fang, is a +2 two-handed sword. The sword has been passed down in Erik’s family for generations, but it cannot be possessed by an outsider. If Erik is slain and Ymir’s Fang examined, it will be found to be made of murky ice! It will then melt to a puddle of dirty water within minutes. The dragon is 10 metres long with coppery-red scales along her body. She is only interested in guarding the egg she laid 18 years ago, which is now about to hatch. She can speak, is fully intelligent, if a little slow on the uptake, and can breathe flame. I would have loved Jackanory as a kid if Jamie had been on it. You don't know what I mean, I guess. You're too young. Or you aren't British. Storytelling like it used to be: no special effects, just the raw magic of words spun into narrative spells around the fireside. Well, okay, around the TV. Same difference. Here's Jamie in thundering form on the Guardian website, captivating the nation's youth by teaching them how to be evil. True moral guidance is what it is. Nobody said which flavour of morality it had to be, did they? Oh, they did? Too late now. The gore-coloured, twistily imaginative background picture is by Freya Hartas, who is a whole lot nicer to look at than Jamie but didn't get the gig because her laugh is sweet (deceptively so; she's actually very wicked indeed) rather than the obviously villainous guffaw of our Mr Thomson. Oh yes, it's Thomson, by the way, not Thompson. But it wouldn't be the Guardian if they got something like that right, would it? Shouldn't knock them, though. 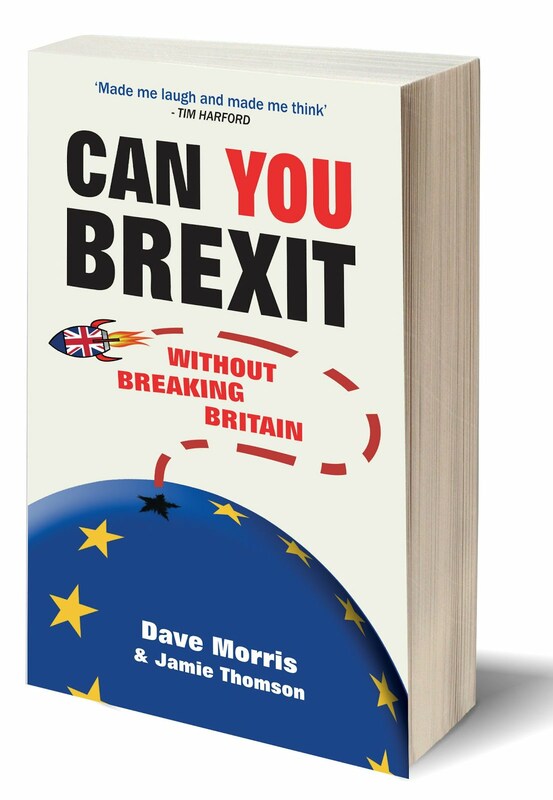 The Grauniad is still Britain's best paper, after all, especially for books coverage, and here to prove it is Jamie's (and Dirk's) pick of the funniest reads. 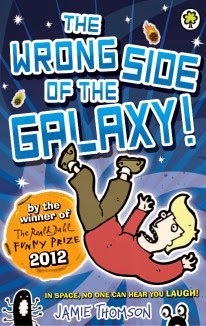 A Dirk Lloyd audiobook should be out next year - narrated by Jamie (who else?) and you'll also be able to read the first in our new series, Starship Captain. 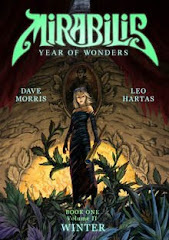 But before we're quite done with 2012, you'll be wanting to see what's in the Fabled Lands Santa sack for this Yuletide. A couple of things, actually. Tune in on Monday for the first of them. Arcana Agency: The Thief of Memories, Megara Entertainment's revolutionary reboot of the choose-your-own format, is now past the 60% mark for funding on Kickstarter. That's the good news. The other news - not bad as such, but urgent - is that there are only 6 days left to go. 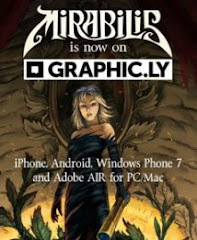 I'm looking at the rewards, and for $40 (that's about £25) you get the lavish full-colour hardback Arcana Agency gamebook by Paul Gresty, and a PDF of Megara's beautiful Art of the Fabled Lands book. Not to mention the satisfaction of helping a team of passionate creative people to bring a really worthwhile product into existence. So... six days to go. That means the project just needs 22 new backers a day to get over the finishing line. 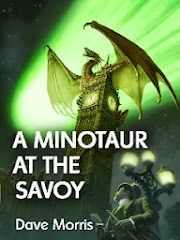 If you still aren't sure, check out this article on the game mechanics, or this one on Paul Gresty's love of detective stories, from Sherlock Holmes to Detective Comics. Or just pick up this free taster adventure and find out why Arcana Agency is part of the exciting new generation of interactive fiction. Incidentally, if anyone has tried the free adventure and feels like starting a discussion - on the setting, the writing, the game system or anything else - well, that's what the comments button is there for! JT: Way back in about 1980 at a mutual friend’s house. 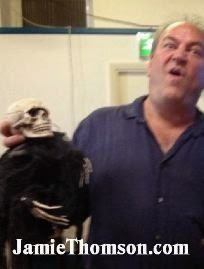 I think I said hello to Dave by karate kicking him in the chest. DM: That’s right. Jamie did a flying kick off a moving skateboard. It was impressive until he came back down to earth. 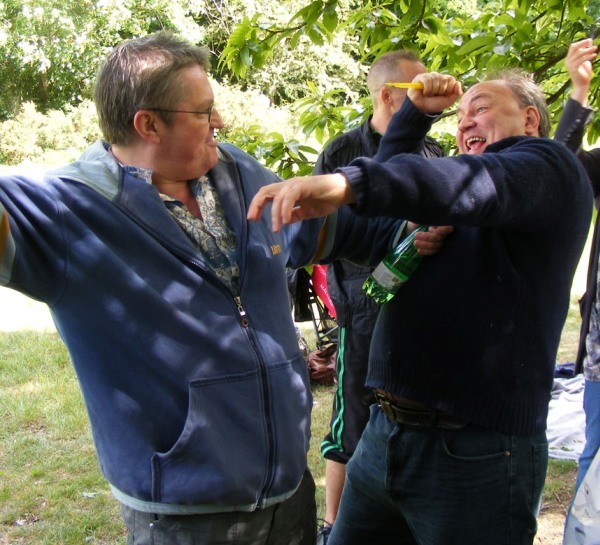 The mutual friend was one of my gaming group at college, and he and Jamie had been at school together. Why did you decide to make gamebooks? JT: I ended up getting a job on White Dwarf magazine, at Games Workshop back in the early ‘80s. So I was working for Ian Livingstone and Steve Jackson who launched the Fighting Fantasy series, so when they wanted more titles, I was there to do it for them. And that's when it all started. DM: There was quite a craze for gamebooks in the 1980s and every publisher wanted their own series. Jamie and I and a lot of other people we knew were all writing them. We’d go round to each other’s houses and there’d be flowcharts all over the floor. 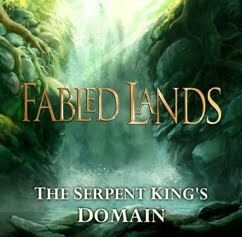 Where did the inspiration come from for Fabled Lands? JT: Dave and I used to play role playing computer games together, and that gave us the idea of doing a series of sandbox type books that were like computer games without computers, so we could have a huge world you can explore and also affect, but also with lots and lots of little stories that were nicely realized, which computer games aren't so good at – or weren't in those days. Writing the books was much harder than a standard game book, of course. Complex flowcharts and managing the codeword system was difficult. 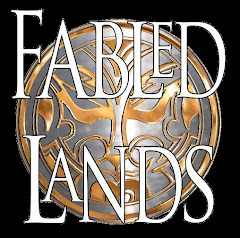 DM: We used a lot of ideas and characters from our role-playing sessions in the Fabled Lands books. They probably were the hardest series to plan, but also the most fun to write. 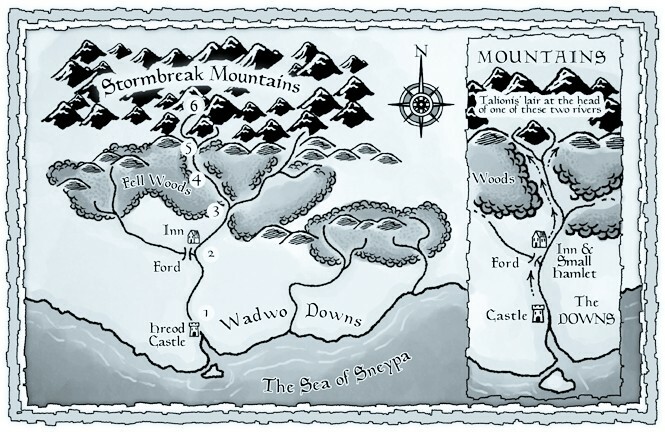 How long did the six Fabled Lands books take to write? JT: It took me about 3 to 4, sometimes 5 months to write an FL gamebook. Dave is much faster than me though. DM: That is true, I will get everything done on time, but rarely with as much flair as Jamie will put into it. Part of me thinks, “Well, it’s just fantasy,” but Jamie gives it 100%. He has more difficulty with the real world than I do, though. 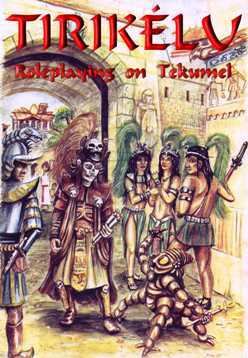 Have you other plans concerning gamebooks? JT: We may see the rest of the series, but our current plans are to get them out on various digital publishing platforms like Android, iOS, epub and Kindle. If they sell well on these platforms, then we can write the rest of the series. We would like to do them, but it's time and money, and we have mortgages, and bills, etc etc. DM: Yes, we have to make a business case for doing more. Sales in digital form could possibly justify completing the series, and even if Jamie and I are busy on other projects we have some great writers who we can get to work on Fabled Lands for us. 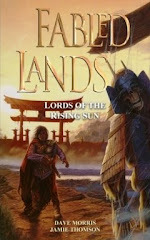 How many copies of revived Fabled Lands books were sold? JT: I have no idea! 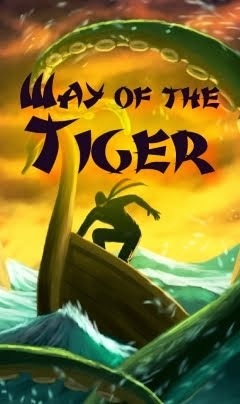 But it's definitely a lot less than our other more successful series like Way of the Tiger and Golden Dragon. 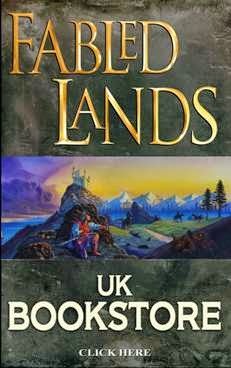 While we think the Fabled Lands are the best game books we've ever done, they came out when the game book craze was just dying out and computer games taking over, so the Fabled Lands series never sold as much as we would have liked. It has the most dedicated fan base now though, with a bit of a cult following. The other series we have, that sold much more all over the world simply don't have that kind of dedicated fan base. Well, with the exception of Dave's Dragon Warriors books, but they're not gamebooks as such. 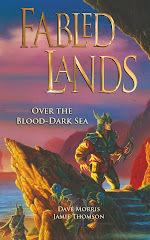 DM: Yes, we often think about how great it would have been if we had written the Fabled Lands books five years earlier. We had the idea for them in the late ‘80s but no publishers were interested then because they were too innovative – they just wanted more traditional single-storyline gamebooks. But that could be exactly why they still feel quite modern. Certainly we don’t want the Fabled Lands apps and ebooks to be a backwards-looking nostalgia thing. Would you agree if a Russian publisher proposed a translation of Fabled Lands? JT: That is certainly a possibility. 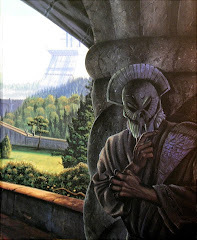 Fabled Lands is being re-published in Germany, there is a role playing game of the FL world published in English and French (though no actual gamebooks yet), and other possibilities on the horizon, so we are certainly open to it. DM: We both enjoyed the movie Wolfhound (Волкодав из рода Серых Псов), which I understand was based on a novel by Russian author Maria Semyonova, so maybe her publishers would be interested. 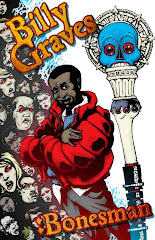 We’re very much in that same vein of fantasy adventure meets pragmatism and politics. 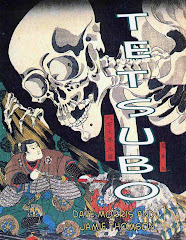 Which are your favorite gamebooks? Why do you think that they’re the best? 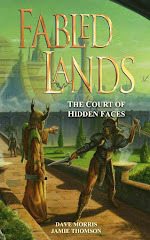 JT: My favourite of my own stuff is the Court of Hidden Faces in the Fabled Lands series, simply because I think it's the best I've ever done and I'm proud of it. Other gamebooks... Well, I don't know Having written so many, I really don't like to actually read gamebooksfor pleasure! I always end up automatically constructing a flow chart in my mind or thinking about what options there should be and so on. DM: Not to swell Jamie’s head, but I also think Court of Hidden Faces is the best in the FL series. My other favourites are the Duelmaster books that Jamie wrote with Mark Smith. Those are amazing because you can play against a friend, each of you reading from one of a pair of books. I still don’t know how Jamie and Mark figured those out. Do you think that game books have a future in 21st century? JT: Yes, definitely, but not in old style print so much. On new platforms like smartphones, tablets and e-readers in general, then yes. Well, certainly in the next few years. Though how long it will last is another matter. DM: I think they have a bright future if they evolve. 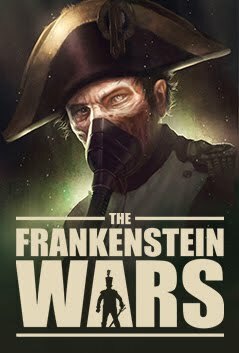 I recently wrote an interactive reboot of Frankenstein for iPad, which was partly funded by our Fabled Lands company, and that’s structured like a gamebook but it does some very different things in terms of establishing an emotional bond between the reader and characters. That’s just dipping a toe in the ocean of possibilities.